Swimming with Turtles in Akumal! When the Green Sea Turtle is born it is only about 5 cm long. However they can grow up to 1.5 meters. They can also be 700 pounds which makes them the largest hard shell turtle! Under their shell they are yellow. They also get their name from the greenness of their bodies. Green sea turtles can hold their breath for several hours at a time. Because they are cold blooded reptiles in cold water it is easier to hold their breath for a long time in cold water. On land, the sea turtles move more slowly then in water because they have to pull themselves with their flippers but when they’re in water they move very quickly with their flippers. But normally sea turtles only go out onto the land when they are laying eggs. To reach the place they want to lay eggs, they have to migrate for long distances and then travel back to where they were born. When the green sea turtles lay eggs, they lay about 100 to 200 eggs and leave them for two months to hatch. When the eggs hatch, the baby turtles have to go to the water having to avoid many different predators like birds, crabs, etc. Less than half of the eggs make it! There are also two types of green sea turtles: Atlantic Green Turtles and the Eastern Pacific Green Turtles. The Atlantic Turtle is found in the Atlantic Ocean and the Eastern Pacific is found in the Indian Ocean, the Pacific Ocean, the Mediterranean Ocean, and the Black Seas. 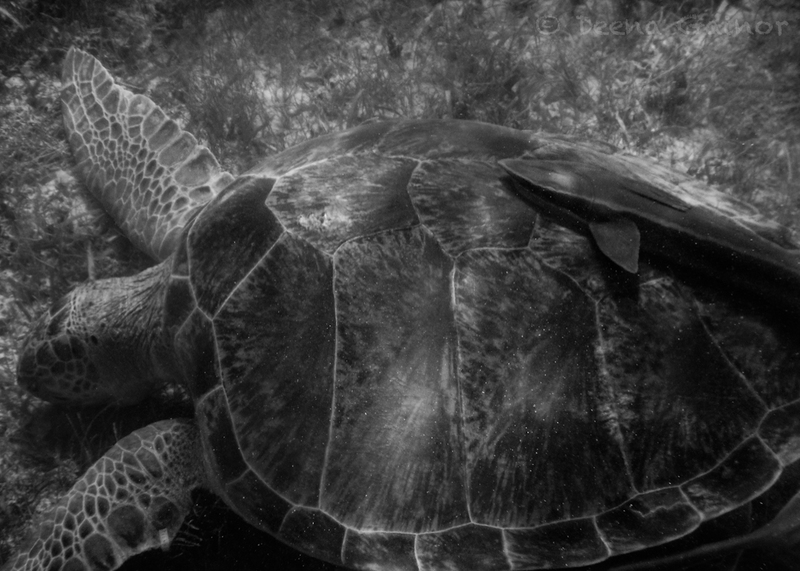 Green sea turtles eat jellyfish and crabs but as an old turtle they normally feed on grass. They are endangered and their numbers are decreasing. Also, if you live somewhere Green Sea Turtles nest you should try to set up a protection program for the turtles. I loved snorkeling in Akumal because of all of the life and creatures. The turtles are really nice but they don’t like when people touch them. Also they look kind of ugly if they have a face rash. I also saw sting rays. The first sting ray I saw was large and gray and the turtles I saw were also super big! Turtles are also immune to jelly fish and they actually eat them! Even though they eat them I still wouldn’t swim with jelly fish while snorkeling with turtles. Snorkeling was very fun. Sometimes I dove under the water without thinking about my snorkeling gear. The breathing tube got water in it and I breathed salt water into my lungs. I started to cough a lot, but I was fine. I will hopefully remember to clear my snorkel of water the next time I dive to get closer to the turtles. I love swimming with turtles and hope to swim with them another time! I also hope you get a chance to experience swimming with turtles.